Did you like the fast passed tension of Papers, Please? 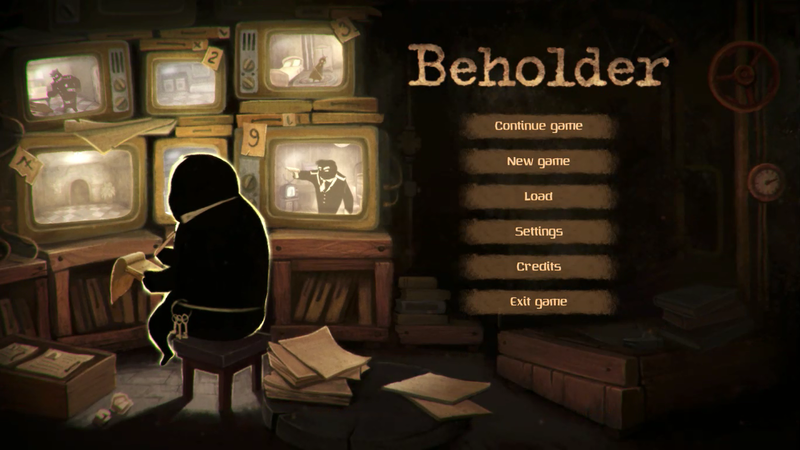 Beholder is a game about spying on tenants of a rundown apartment building and like in Papers, Please, you enforce dystopian policy in an oppressive society.. but in a fun way! Beholder is weird, slow and all black and brown, but the sneaking is fun and the characters are awesome. Once the game has begun, mechanically everything feels like a point and click game as opposed to the matching fast passed puzzle mechanics of “Papers, Please”. If I were to compare Beholder to Papers, Please, I would say if Sierra released Papers, Please in 1993 for PC, it would look like Beholder.